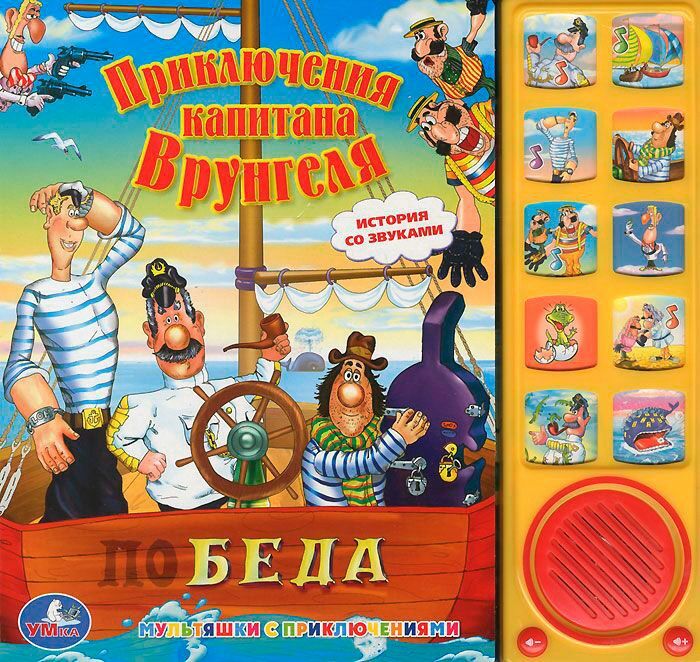 The music book about the adventures of Captain Vrungel for the little ones. Ten sound volume buttons, phrases, and songs from the same cartoon. The book is filled with colorful and bright illustrations and definitely will be interested in a child.